Posted on March 23, 2018 by Gary. You know what’s sad? A national ball hockey tournament canceled due to lack of funds. You know what isn’t? A hundred kids getting to scrimmage with Stanley Cup champions. Speaking of kids, did you know that they’re streaming youth hockey games in DC? The heck we say. Hunker down. A Nor’Lent is blowing through. It’s St. Patrick’s Day weekend, and you know what that means! Yeah, okay, you’ll get that too, but you’re also getting to know The USA Under-14 World Ball Hockey Team. Come for the offensive stereotyping. Stay for the hockey. Goalies. We talk about them a lot on HIT the DEK. This is one of those episodes. We talk about other stuff too, but definitely goalies. What goes through their heads when they give up a goal? Hoo boy. Buckle in. Plus, dek hockey is fun, sure, but also healing? Who knew? And ball hockey for the cure? Let’s do this thing. Relax, recline, and replay. It’s pod time. This week, HIT the DEK is the pod of champions. We’re pleased to welcome Lou Harvatin and Ryan Diaz from the Charlotte Street Hockey league to the show. Oh by the way, Ryan won the RSHL Iron Man Tournament. No biggie. (You can watch that here.) Plus, did you know that the USA Women’s Hockey Team took the gold medal? Because we won’t shut up about it. A date which will live in awesomy. This week we have Carolina on our minds. We’re joined by RSHL co-GM Kevin Frost, who’s talking to us about the Raleigh Street Hockey League, their upcoming Iron Man Tournament, and an RSHL member-turned-Olympian who is making history in PyeongChang. Kevin’s a really good guy. This one is worth your time. Howdy do, dekkers? 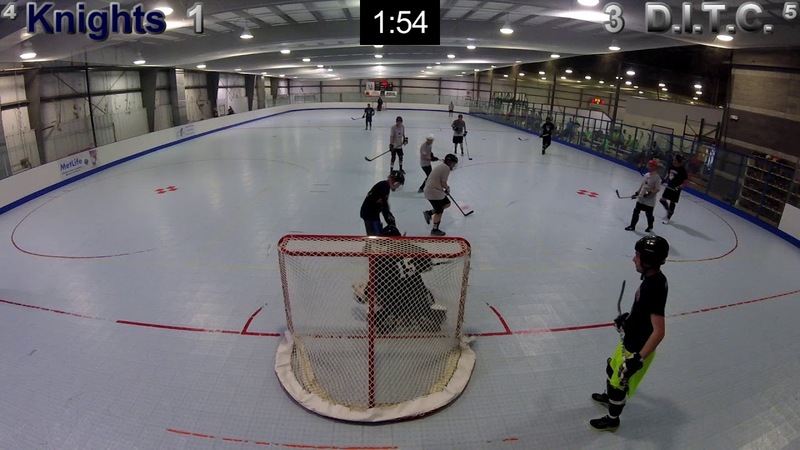 This week we head up to the great white north to look in on a brand new dek hockey league. Gotta supply that demand. While we’re there, we check in with a red hot tournament played in ice cold conditions. Batter up. And who has two thumbs and is an e-sports champion? A bunch of people, probably. Not this guy. This episode of HIT the DEK is brought to you by Maurice’s Waffle Hut. Try the apple syrup. Well hello there. This week is story time! We’ll regale you with some of our own tales from the rink. We’ve also got some old time hockey for you. Sweaters and mic-macs and such. Plus, have you heard about the changes to the NHL Skills Competition? You will. Hockey up and jump on. Here we go.